Here are 100 of the best gratitude quotes on this site. They are all about being thankful, grateful and appreciating what we have. As the Law of Attraction teaches us, whatever we put our attention on will increase in our lives, so being thankful for the abundant of everyday blessings will bring us more things to be thankful for. 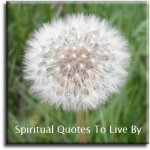 This collection is available to download and print as a box set of small quote cards from my SpiritualQuotesTLB Etsy shop. Appreciation is the magic formula you’ve been seeking. Whatever you’re thinking about is literally like planning a future event. When you’re worrying you are planning. When you are appreciating you are planning. What are you planning? Every time we remember to say “Thank You’” we experience nothing less than heaven on earth. If you’ve only one breath left, use it to say thank you. Difficulties are opportunities to better things. They are stepping stones to greater experience. Perhaps someday you will be thankful for some failure in a particular direction. When one door closes another one opens.. As a natural law it has to balance. As you awaken to your divine nature, you’ll begin to appreciate beauty in everything you see, touch and experience. 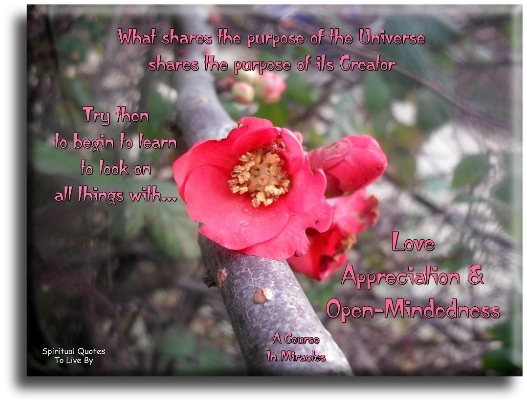 This magnificent Universe provides abundantly when you’re in a state of gratitude. If the only prayer you ever say in your life is ‘Thank You,’ it will be enough. Feel gratitude for everything. When we see every situation as being perfect, just the way it is, happiness grows and grows. We return thanks to the Great Spirit, in whom is embodied all goodness, and who directs all things for the good of her children. the more you have to be thankful for. O Lord that lends me life, lend me a heart replete with thankfulness. The full, the true thanksgiving, comes from the heart. ‘Thank you’ is the best prayer that anyone could say. I say that one a lot. Thank you expresses gratitude, humility, understanding. In life, you’ll meet two kinds of people: the ones who build you up and the ones who tear you down. In the end, you’ll thank them both. 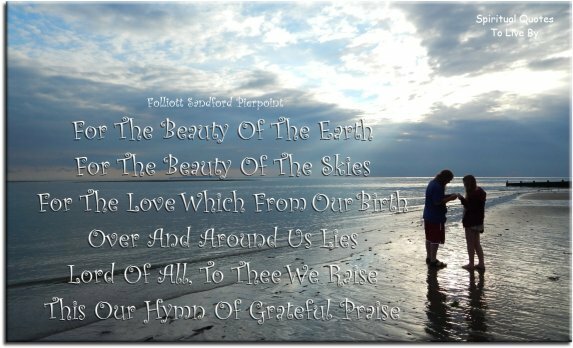 All which we behold is full of blessings. I discern the gifts in my tests. I am open to the joys of life. If you appreciate someone.. Let them know. It doesn’t matter if the glass is half full or half empty… be grateful that you have a glass and there is something in it. When you drink of the spring.. Be thankful for the Source.